Just me being me: Welcome back chippy! 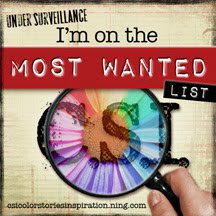 As I have been busy creating for the magazine and my Helmar Design Team application, I don't have a great deal to share... 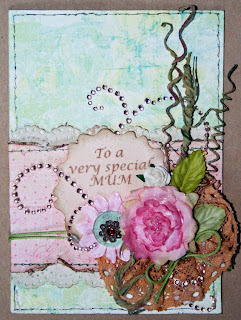 HOWEVER this is a card I did for my lovely mum who has headed overseas this week for a holiday and therefore got her mother's day presi a little early. 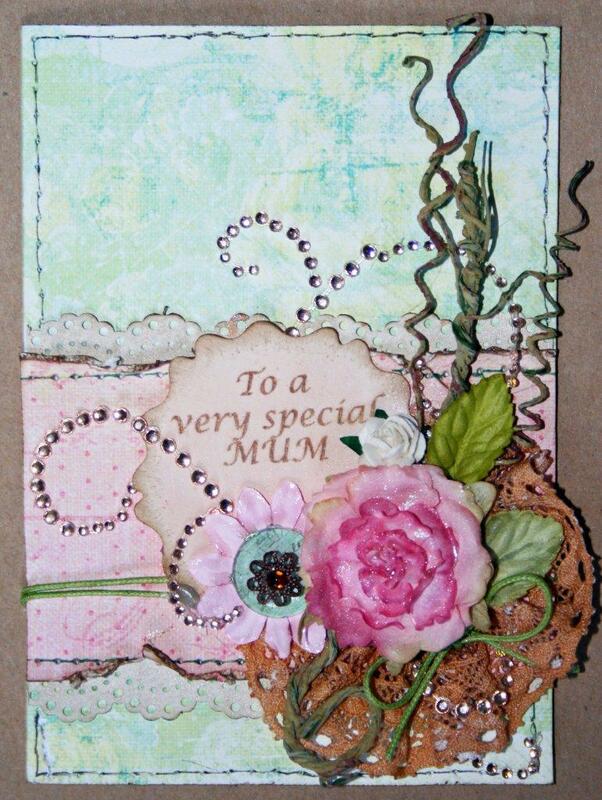 I really enjoyed creating it as my mum would have to be the biggest fan of my work (as I am sure most mums are :D) and she has kept every hand made card I have made over the years and believe me there are some shockers (especially when I just got started with this hobby LOL). I love that she has kept them all though, as it really shows a journey of my dabbling in this craft and I am not ashamed of any of them! There are quite a few elements to this card including some punching to accent the strip piece which runs across the card. Some distressing of this piece prior adhering it to the punched piece. (I have used the Martha Stewart Doily border punch) some fake stitching and plenty of bling and Prima. I have even created a doily looking piece with some lace that has been sprayed with Glimmermist to give some colour and shine. 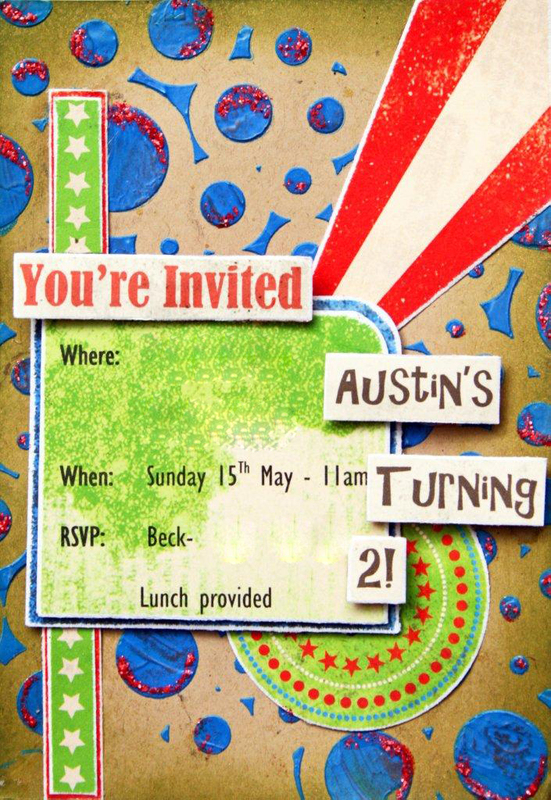 I have also been busy creating invites for my little boy's 2nd birthday that is coming up next month. I have had fun with some texture paste on this one as well as some liquid scrapdots to create the dimension. I am not sure what 'theme' I am going for for his party, but I loved this paper from BoBunny so I decided to use it for his invites.